China today is facing a convergence of several major forces that threaten not only to drive its economy and financial system into further and faster contraction and instability, but threaten as well to destabilize the rest of the global economy, especially emerging markets. In early January 2016, China’s main stock markets, the Shanghai and Schenzen, fell steeply to levels that required the government to suspend trading, i.e. to shut them down. Since December 22, 2015, in just two weeks, China stock markets have contracted by more than 20 percent, in what is a third ‘leg down’ since China’s markets began first imploding last June 12, 2015. Initially having risen by 120 percent to bubble levels in 2014-2015, China’s markets contracted -32 percent by early July. Intervention by its central bank and government thereafter briefly stabilized prices. China then devalued its currency, the Yuan, in late August and the markets fell a second time, by -42 percent. After a short recovery last fall, a third and most recent collapse of 20 percent in early January 2016 has resulted in stock values falling about -50 percent from their previous May-June 2015 highs. After three intervention efforts requiring US$500 billion by China’s central bank and government over the past six months to stabilize the stock implosion, it has become clear that China authorities cannot prevent the markets from imploding still further. Analysts predict China’s stock index will fall to 2000 from its current 2900, and its June 2015 highs of more than 5000. That’s about a -65 percent fall, which is roughly equivalent to the collapse of U.S. stocks in 2008-09. That kind of stock market collapse suggests China may be beginning to experience a financial crisis roughly equivalent to the U.S. financial crash of 2008-09. Stock market crashes of such dimensions are signs of either actual, or impending, near-depression conditions. With a stock market collapse underway, wealthy Chinese investors, speculators, and China’s more than 6,000 estimated shadow banks (there were no shadow banks in 2008), are all desperately selling stock. Stock sales in Yuan are then being converted to dollars and other global currencies. The money is then sent out of China to invest abroad. Estimates of capital flight from China last year in 2015 are estimated at around US$1 trillion. To try to stem the outflow, China authorities have been intervening in global currency markets to try to keep currency values from falling precipitously. More than US$100 billion was used to prop up the currency in December 2015 alone. 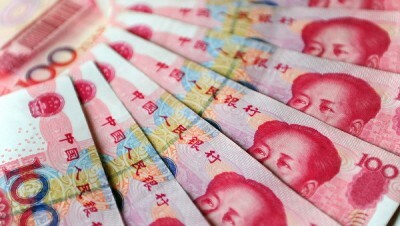 But like the US$500 billion spent the past six months to intervene to stop the stock price collapse, China central bank and government attempts to prop up China’s currency have proved equally ineffective at stemming the decline in its currency, which has already devalued since last summer by 6 percent to the dollar, as pressure continues to build for still more devaluation. Unable to prevent both its stock market implosion and further devaluations, the impression globally is growing that China is progressively losing control of growing economic instability. The stock selling and collapse is feeding the currency devaluation and vice-versa. Investors and speculators are selling stock converting Yuan to dollars and driving down the currency’s value; in turn the declining currency is encouraging investors to sell stocks in a currency that is falling in value. In other words, a mutual downward spiral is underway. Behind the stock-currency spiral is China’s real economy that is slowing faster than China official statistics indicate. China’s real economy, measured in GDP, is slowing far more rapidly than the government’s estimated 6.9 percent. Independent sources looking at rail and freight traffic, electricity usage, manufacturing output, and other such indicators, suggest China’s growth rate may in fact average around 5 percent. Some estimates are suggesting as low as 3 percent annual growth today. Its manufacturing sector has contracted every month throughout 2015. Export growth is negative. Industrial production and real investment growth rates are half of what they were in 2014. Prices for industrial goods are deflating and for consumer goods and services rapidly disinflating. China’s slowing real economy means corporate profit declines and even defaults, which encourages investors to dump and sell stocks; stock and currency translates by various channels into further corporate profits decline. The problem is particularly acute among state owned and old ‘industrial’ enterprises, which have become massively indebted since 2009 and increasingly unable to secure financing even to continue production operations. Thus these three elements—slowing real economy, stock implosion, and currency devaluation—are now feeding back upon and exacerbating each other. The downward spiral is intensifying. Overlaid on all the three elements are the slowing global economy and slowing demand for China exports, the global currency wars intensified by recent Europe and Japan QE programs which will expand still further in 2016, and spreading recessions in emerging markets, barely growing or stagnating economies in Europe and Japan, and the concurrent collapse of global oil prices, now at US$29 a barrel and in some places, like Canada, as low as US$15. In other words, growing fragility in the global economy outside China makes the global economy today more sensitive to growing instability within China itself, and vice-versa. China and the global economy are feeding off each other negatively as well: China destabilizing the rest of the global economy and that destabilization negatively impacting China as well. This China-global interaction is taking place, moreover, on a tinderbox of debt in China, as well as globally. Total global debt, mostly business debt, has increased by no less than US$50 trillion since 2009. China’s total debt represents no less than half of that US$50 trillion, having risen from US$7.4 trillion in 2007 to more than US$30 trillion today. Moreover, even more ominous, about US$2.5 trillion of its US$19 trillion corporate debt represents non-performing business loans in China today. As stock markets and currency declines, as old industrial companies slide deeper into trouble and can’t raise money capital, and as revenue from exports slows for China, it means China corporations (and local governments) will face increasing difficulty making payments on the massive debt that has accumulated since 2007. Defaults are inevitable, which in turn will make both China’s real and financial economy even more unstable. In short, a bust in coming in China and it will spill over to the rest of the global economy with serious consequences—first for emerging markets and thereafter inevitably as well for advanced economies like the US, Europe and Japan. China government and state banks will have to bail out the over-indebted private sector. The government has massive reserves of US$3 trillion with which to do so. But it has already spent approximately US$1 trillion dollars thus far to support stocks and its currency. How much more will it commit to bail out its falling stock market, to halt the decline of its currency and capital flight, and eventually to bail out defaulting corporations and local governments as well? And what happens to China, and the global economy, should it even balk at doing so? The next major global financial crisis will most likely not occur in the U.S. or other advanced economies of Europe and Japan. It will originate in emerging market economies, precipitated by instability events in China. China may be able to weather the crisis, given its huge reserves. But other emerging markets, many already in recession, will find it far more difficult to do so. As China and emerging market economies enter a deeper crisis in 2016-17, the U.S, Europe and Japan, already essentially stagnating, will not prove immune as well. Jack Rasmus is author of the just published book, ‘Systemic Fragility in the Global Economy’, available from his blog, jackrasmus.com, and website,http://www.kyklosproductions.com, as well as from Amazon.